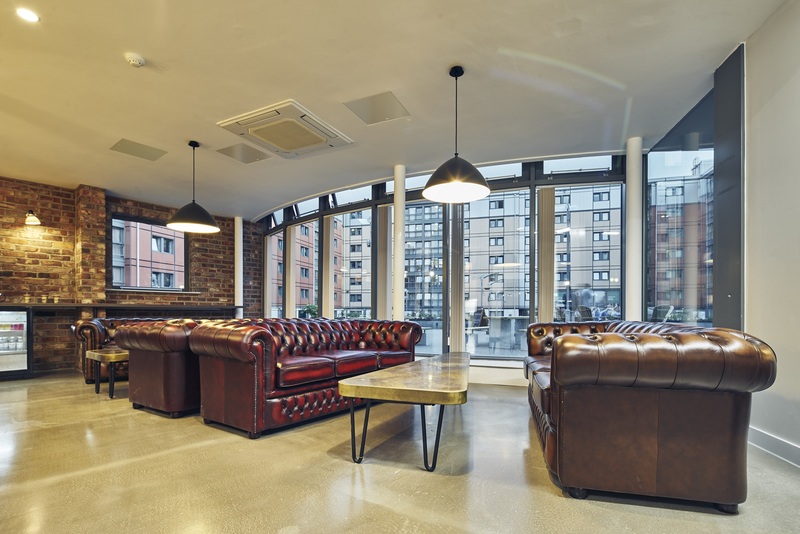 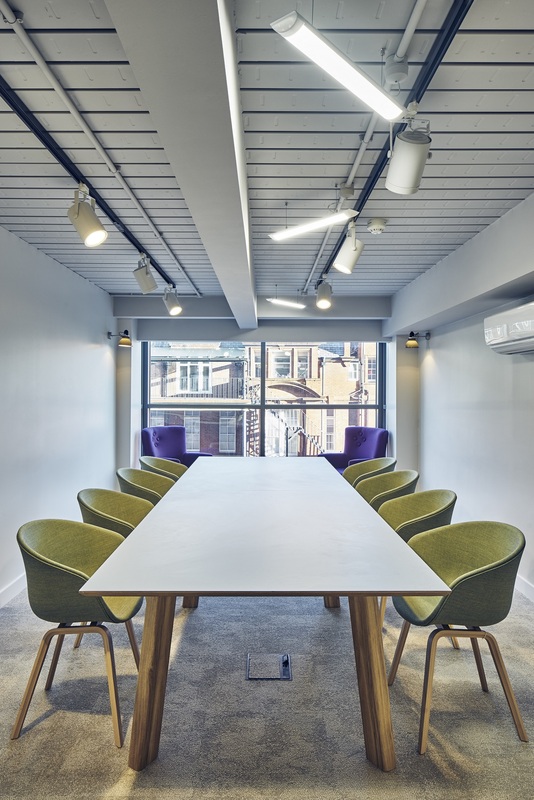 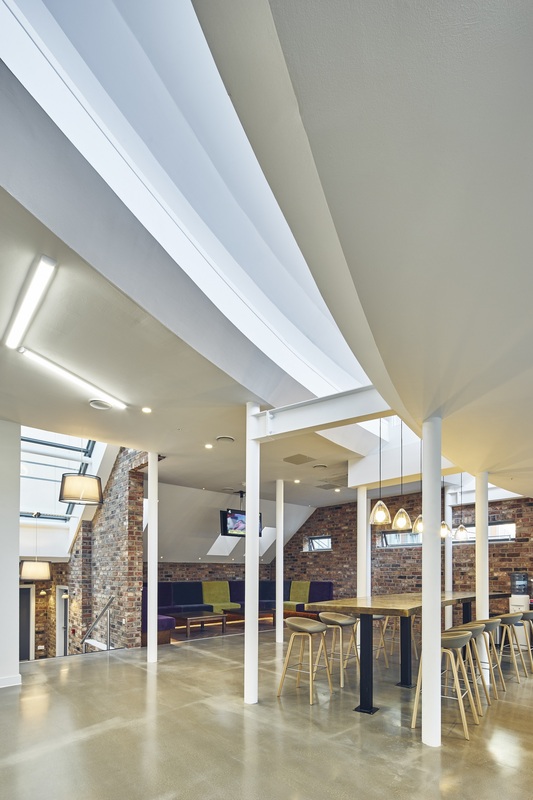 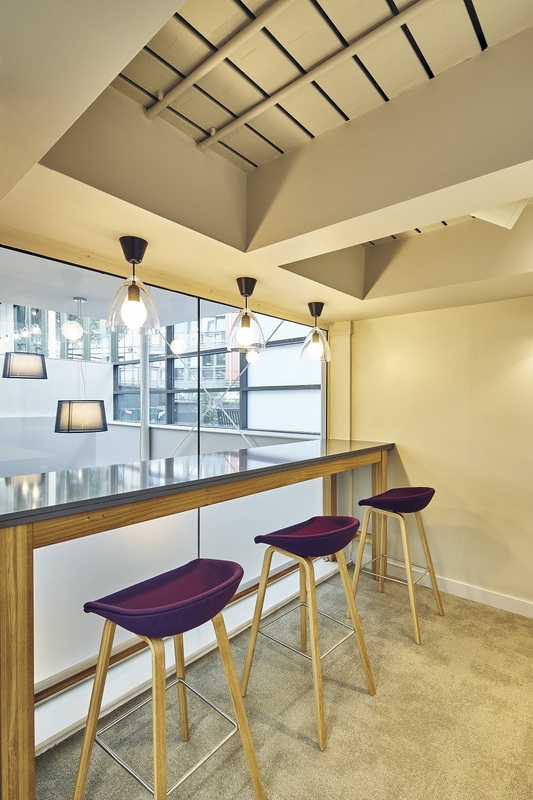 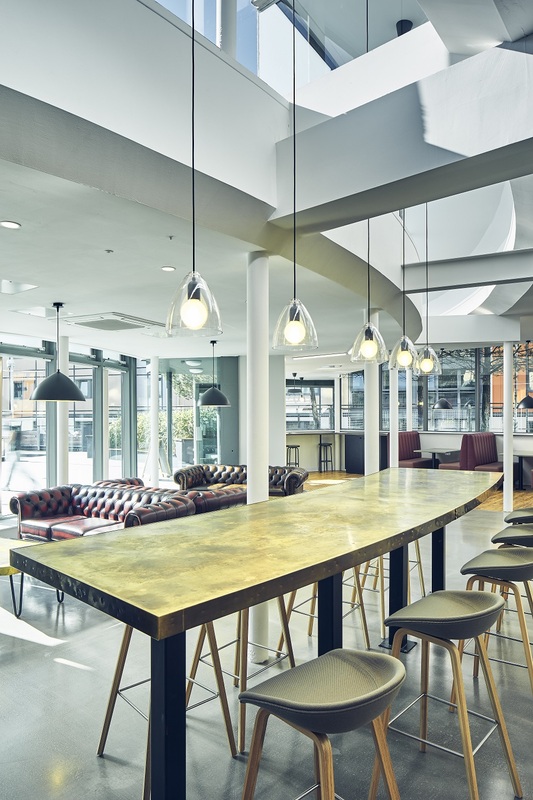 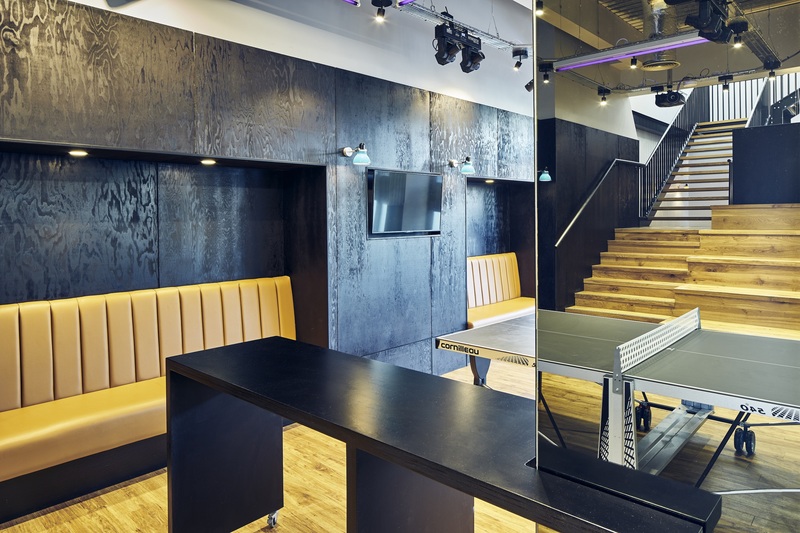 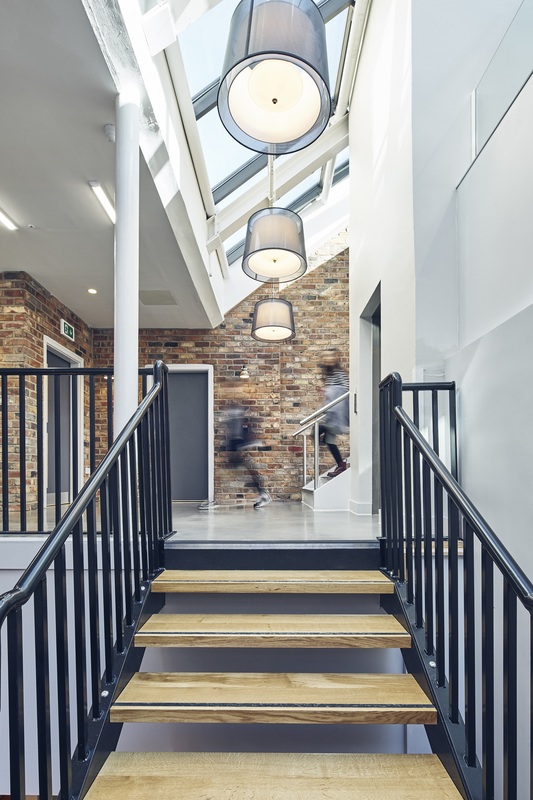 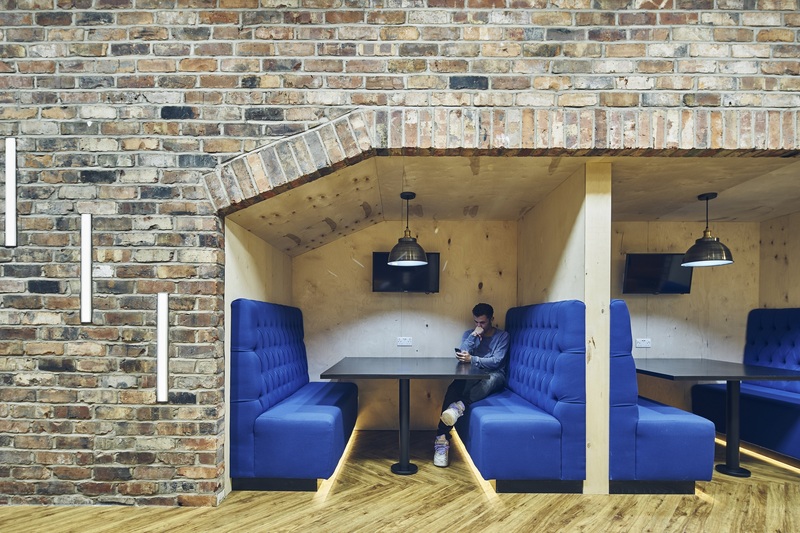 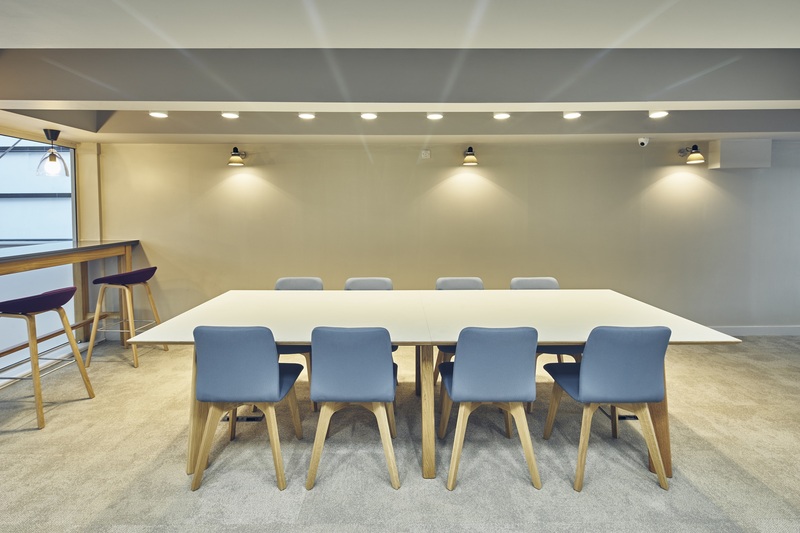 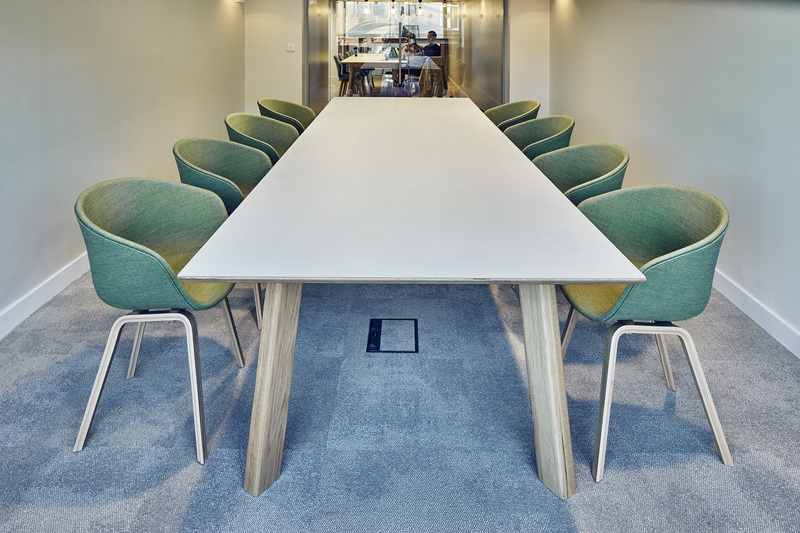 Not long after acquiring the 1000+ bed accommodation on Manchester’s Oxford Road, Greystar commissioned Preferred Spaces to undertake the fit out works of converting a dilapidated reception area into a state of the art study and social amenity space. 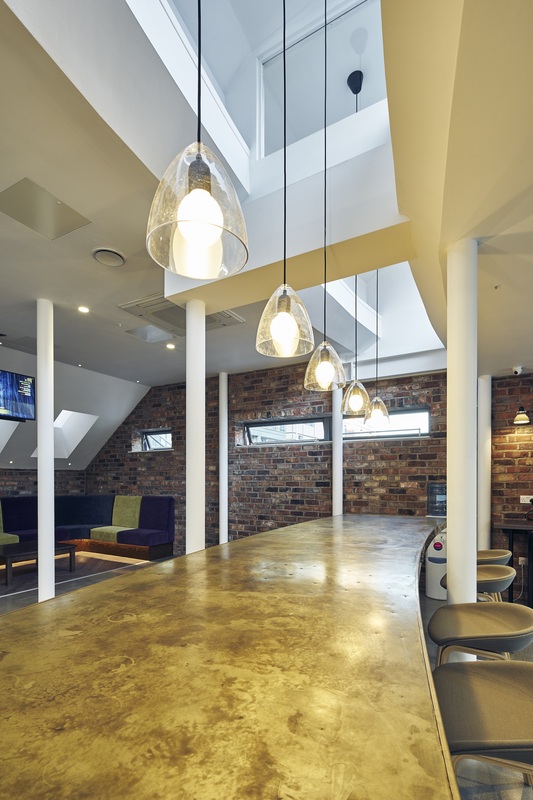 The architects designs transformed the dated space into one that reflected Manchester and the Northern industrial roots. 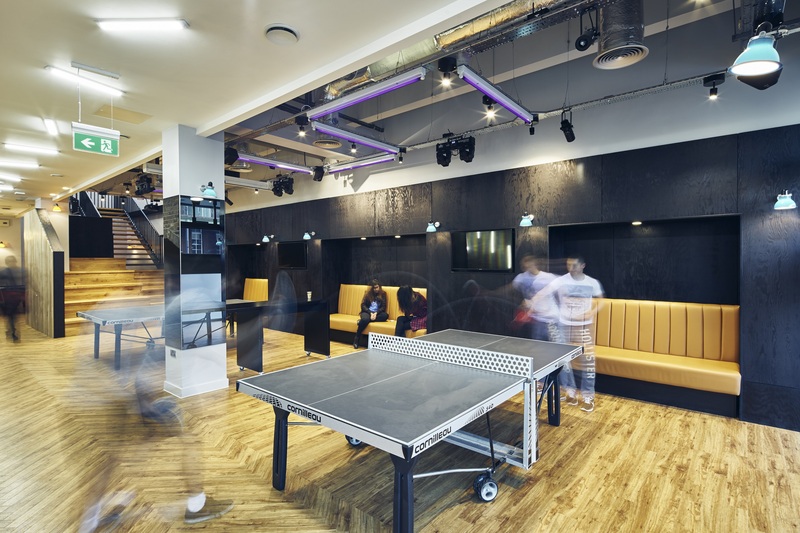 Preferred Spaces turned these concepts into reality and the space now boasts a gaming booths equipped with PS4s, a bar area, pool and table tennis tables, modern laundry facilities as well as collaborative and individual study areas. 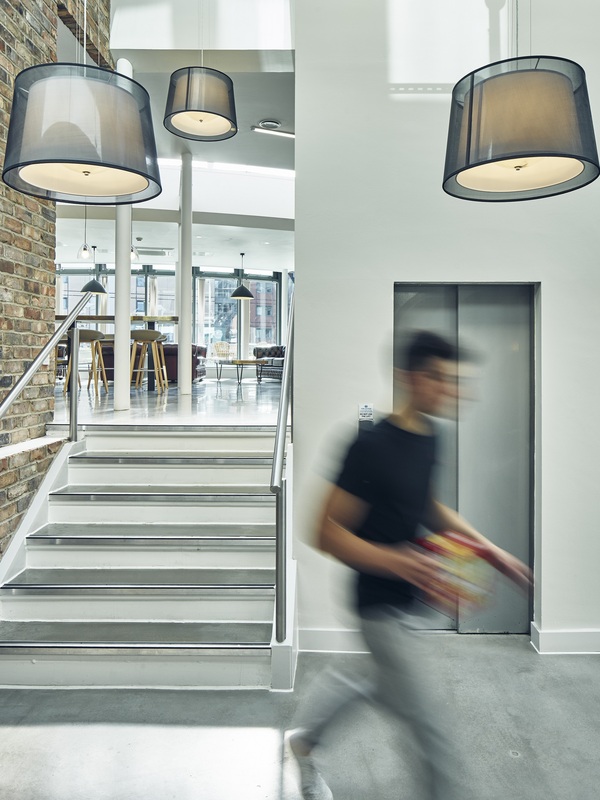 A key element of the project was to remove the escalator system that was replaced with an open and attractive staircase which now connects the social and study areas. 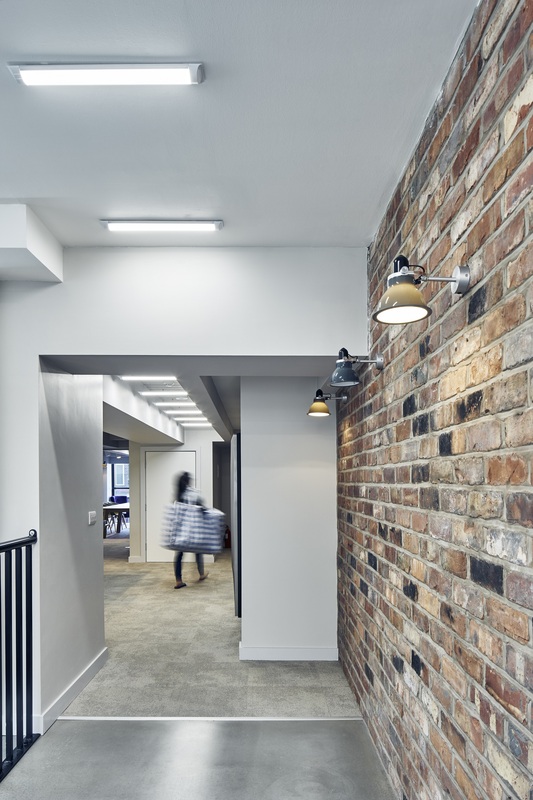 The works occurred over the 2015 summer break with the construction team completing the project within 4 weeks. 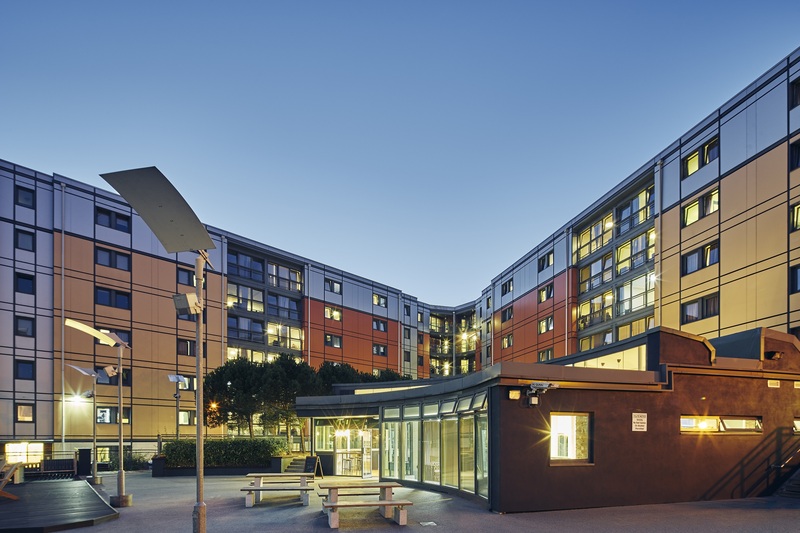 Extra care was taken by the Preferred Spaces onsite team to ensure that minimal disruption occurred to respect the students that who were resident over the summer period. 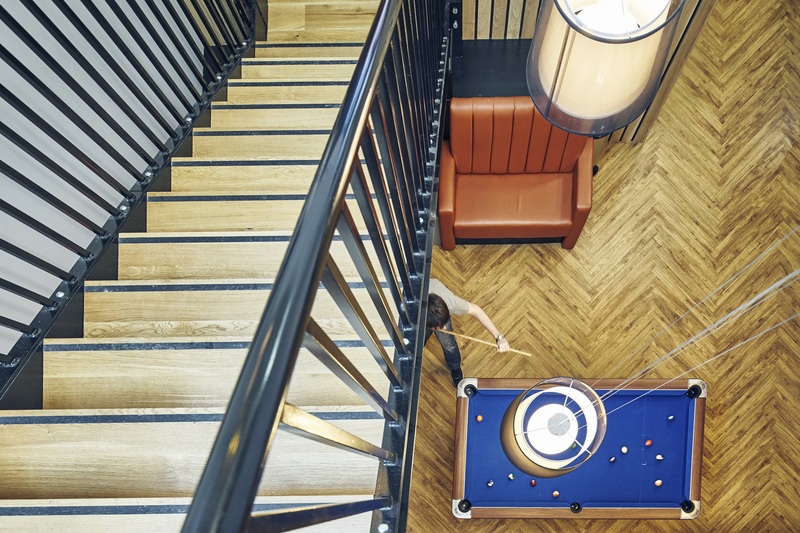 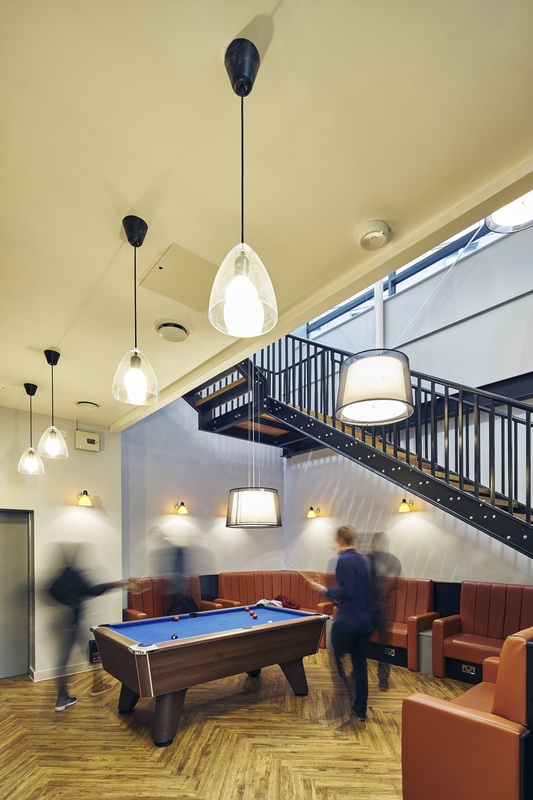 Since completion the Prodigy Living students and staff have commented on how impressed they are with their new spaces and there has been a significant uptake in the volume of students now opting to socialise within their halls of residence. 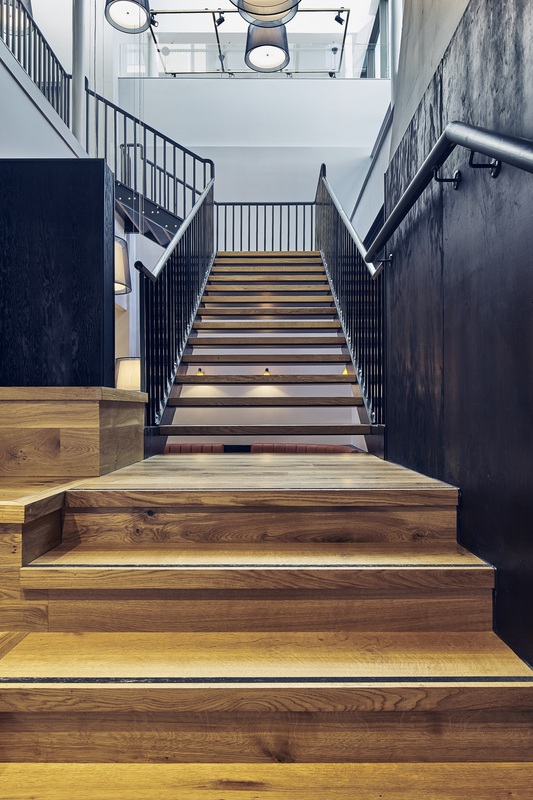 For more information, please see Prodigy Living.